return to the FIA World Rally Championship. The Frenchman's skills and capabilities will be used by Hyundai Motorsport in a number of development tests ahead of 2015 which will be carried out in parallel to the series of pre-event WRC rally tests. Hyundai Motorsport also takes the opportunity to announce its participation in Rallye Antibes Cote d'Azur - round four of the French Rally Championship, which will mark Bouffier's 2014 debut with the team. The participation to the French event will be used as an opportunity to test the Hyundai i20 WRC on tarmac in preparation for the asphalt rounds of the WRC later this year. Hyundai Motorsport will enter one Hyundai i20 WRC test car at Rallye Antibes Cote d'Azur with the aim of acquiring valuable mileage and data in a competitive environment on tarmac. The event offers the advantage of allowing the participation of WRC cars and it fits well in the team's busy testing and rallying schedules. "We are happy to welcome Bryan back into the team after the great job he did with us last year. We have been talking for a while now and we decided that he definitely deserved another opportunity. He will be with us in various development tests throughout the year as we prepare for 2015 and I'm sure that once again he will help a lot. We decided to participate in Rallye Antibes Cote d'Azur next month to do some mileage on tarmac and test some components for the second half of the season in a competitive environment rather than in a traditional test session. Having won Rallye Antibes before and being a French tarmac rally specialist, Bryan was the obvious choice for this event which we will treat the event as a test for collection of data to continue the development of the Hyundai i20 WRC," said Michel Nandan, Team Principal. 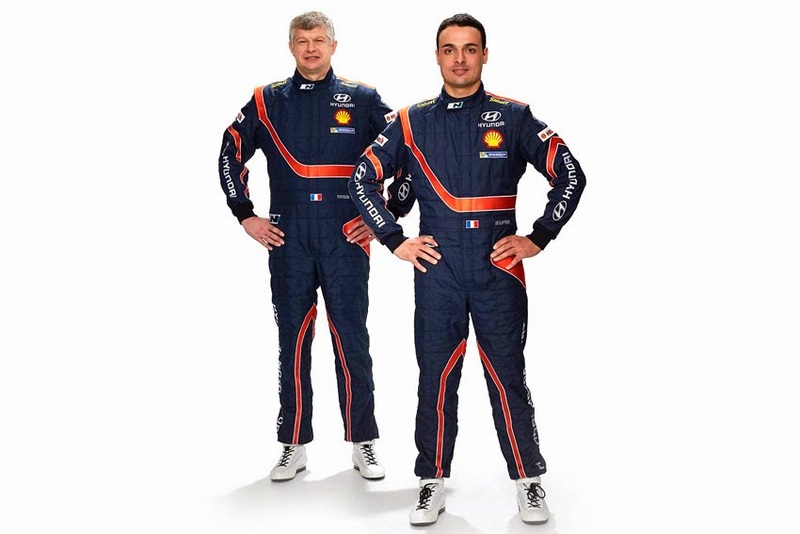 Bouffier added, "I'm really happy to be again a part of the Hyundai Motorsport team. We had a very cooperative collaboration in 2013 and I'm glad we can continue it throughout this year as well. I will be joining some of the team's development tests during this season and I will do my best to help them to prepare for the 2015 season, bringing my experience and knowledge and giving the team the most detailed feedback possible. I'm also grateful to be given the opportunity to drive the Hyundai i20 WRC at Rallye Antibes, an event I won back in 2006 and where I enjoy driving every time I go there. The aim is to do some good mileage on tarmac and give the team as much feedback as possible for the remainder of the season."